After a career in London working as a designer for high street fashion and later the bespoke market, Caroline moved to Lyme Regis where she opened a successful boutique. Here she designed and made vintage-inspired wedding dresses. Her success allowed her to move to a bigger boutique where she stocked vintage frocks alongside her own work. Inspired by the beautiful shapes and femininity of the past, Caroline realised that she could mix elements of retro shapes and fashion a range of frocks for today’s fashionistas! Whatever their size or age, at last girls could buy made-to-measure vintage-inspired clothing. Whilst teaching she discovered that commercial pattern sizing was way out of sync with the fashion industry. She made a decision to design a range of vintage-inspired simple, classic dress patterns, and even had the chance to trial one design at the V&A in London. 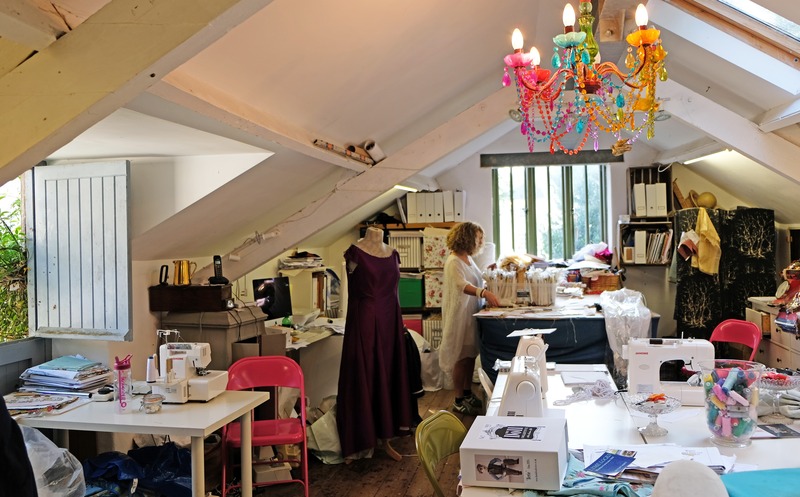 Today, Sew La Di Da Vintage is a dressmaking pattern and kit manufacturer, fabric and haberdashery shop and sewing school, all under one roof, in The Upper Stable Block (above Town Mill Pottery). Visit Caroline’s studio to buy patterns and kits, choose from a range of fabrics or enroll on a sewing course or workshop. 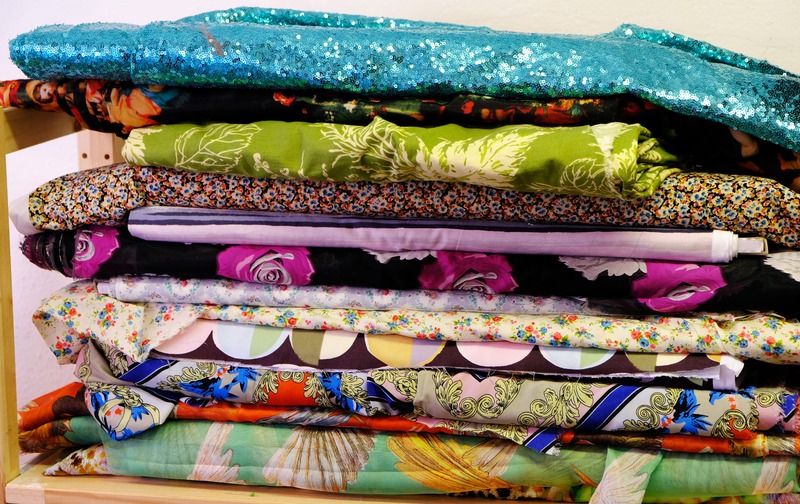 Aimed at all levels of sewing experience, classes include fun, laughter and the satisfaction of having made something that’s uniquely yours. Open most days, please call ahead to avoid disappointment.